Today, marked our second week of our Farm To School Class. With snow once again covering our garden, we worked on some great indoor garden activities. With our olders, we separated our groups into 6 garden teams. Each team is setting up a greenhouse to grow one vegetable. One team planted eggplant, tomatoes, pumpkins, basil, cucumbers, and peppers. They determined the price point at .50 cents a plant. They created a green house name and will be marketing their products. We will be doing research and making commercials to play on our school announcements. We will be created a slogan and a store for our plants for our May 19th plantapalooza event. Our youngers, heard the Tale of Peter Rabbit. 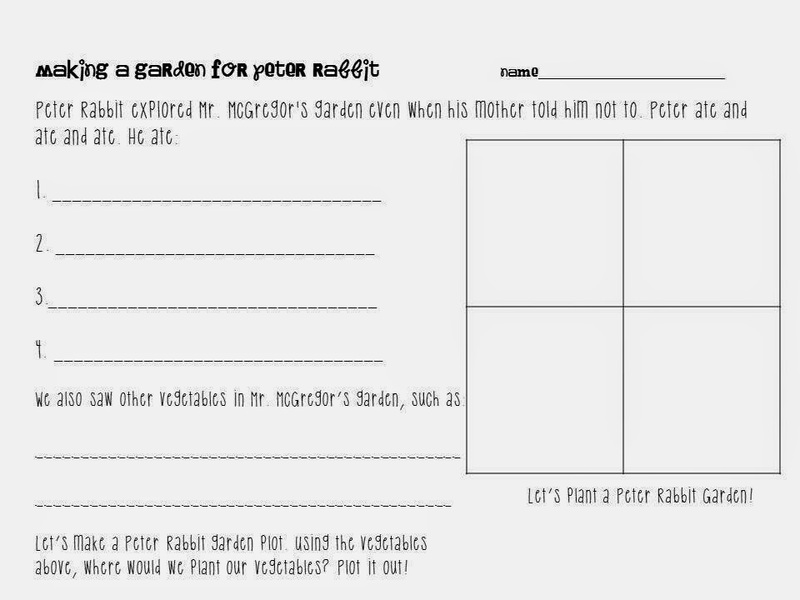 We reviewed what vegetables Peter ate and saw in Mr. McGregor's garden. We will be creating a garden for Peter Rabbit along with a blue coat and shoes as a scarecrow. I have 9 little girls that squealed with excitement. We stopped off after our sheets were done to play with Peter Rabbit on his official site.. We will be planting lettuce, radish, beans, and parsley fore sure. Here are the sheets we used for this week in garden club. If you would like a copy press on this Garden Green House and Peter Rabbit Sheets. What a fantastically adorable idea!!! I might have to section off a piece of my little garden to make a peter rabbit garden with my K class... Thanks for the idea! 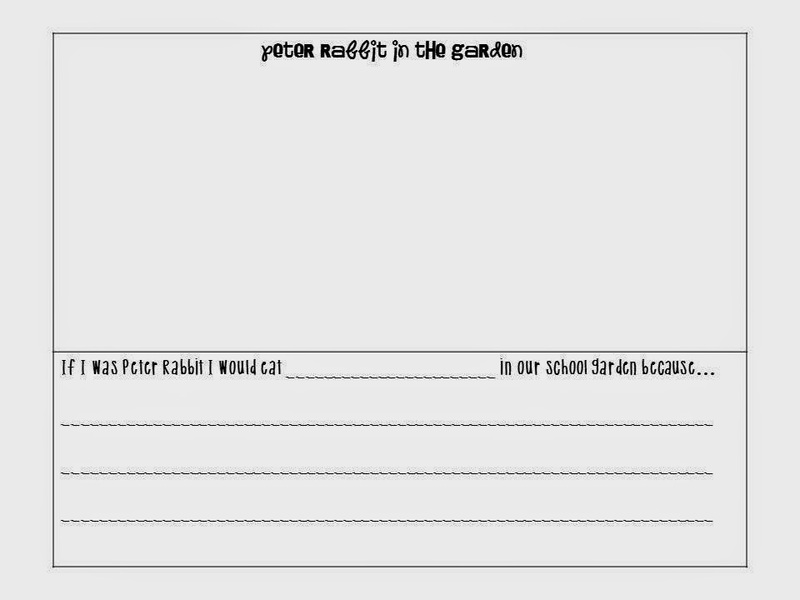 I love your worksheets too!